I will help to manage and grow your social media accounts on any platform. • 1000 connections to your accounts. • Content creation and posting for 1 week (1 post per day for 1 account). • Growing your account organically for 3 days with people interested in your content (1 account). For more accounts management and growing, and more duration at a discount please check the Add-ons. ★ Check the Add-ons for extra services that you may need. Please mention the service that you wish to get, and all details required to do the job. Great provider. Excellent job always! I’m Md. Sariful Rahaman Social Media Marketing Specialist | Professional Guest blogging | article writing & Guest posting| SEO, expert in online world.This experience make me a...Read moreI’m Md. 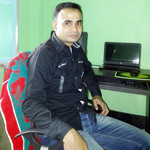 Sariful Rahaman Social Media Marketing Specialist | Professional Guest blogging | article writing & Guest posting| SEO, expert in online world.This experience make me a hard worker and speedy freelancer. I work with a team associate so I can get you the work done on time and for the long projects issues thereby. I want to give my best in my employer and make a long term relation with him. 24x7 any time you will hire me. I will provide the working report on time and daily basis if you like me to do so. Main objective is to be have lots of blogs and websites of Great Google page ranking and Domain Authority. I can provide guest post on Best websites and blogs according to your category. Best DA and PR guest posting services available. Don't hesitate to contact with me for any kind of guest blogging help. I also have some experience in the following areas: Logo design, Banner,photo editing etc. I will Provide You the Best and Comfortable Service, all Back links will be Manually Done. My true Skill will be Very Helpful for Your Project to Obtain Your Goal. If You Contact with Me, I Will Give You Required Service Regarding Your Project. 100% Surety; your desire website will go to top PR with any keywords. Just waiting to give you the best service.